Hello. 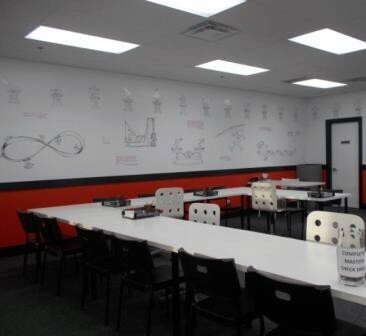 I'm Cindy Winer, Centre Owner of Mathnasium of Markham, your neighbourhood math-only learning centre. We help kids in grades 1-12 understand math by teaching the way that makes sense to them. 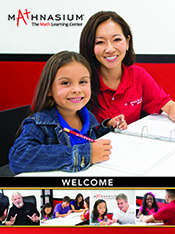 Mathnasium of Markham has been helping students using the Mathnasium Method TM since 2011. Ever since Harleen started this program, she is doing so well in Maths and not only math she has that confidence in other subjects as well. I am so glad that i enrolled her into Mathnasium. My daughter has been attending Mathnasium for about a month. Since her first class, she has been using more math terminology, and is talking and thinking about numbers with more confidence. I’m very tough to impress regarding math-related things, but I’ve been pleased with the growth my daughter has had since she has started with Cindy and her employees. I’m also very happy that Cindy has so many female employees working with all the students; I believe it is setting a great example, and is a big part of why my daughter is eager to return two or three times a week. My daughter liked all teachers there and had a very positive experience. Cindy was very helpful, prompt and supportive. Their flexible attendance system was very convenient for my daughter, and the easy in-and-out access from hwy7 to the Markham learning center was paramount. Highly recommended. Our son has improved his grades and gained confidence in his math skills. Can’t thank Mathnasium enough. We were impressed with the entire program - the tutors were knowledgeable, helpful and friendly; Cindy was very supportive, and the approach was effective. Highly recommended. Thank you for all the support that you gave to my boys. We love working with Cindy and everyone that works at Markham Mathnasium. Everyone tries their best to help my daughter. Very happy. Thanks! My son is much more confident in his math skills, and his interest in math as a subject has increased significantly. Fantastic service -- only wish you were open one more day each week! Email follow-ups and communications with parents after each assessment are great. I feel that my kids are taken care of. Good program with flexibility. Nice and responsible owner Cindy and all instructors. As always we really appreciate Cindy and her staff in taking the time with our son. They are also very cognizant of making sure that they are able to reinforce what he has been learning in school. Thank you! My child enjoys the learning and fun experience/environment, friendly and knowledgeable tutors, incentive program, and most importantly no homework!!! I would definitely refer friends and family [LAST NAME REMOVED] Mathnasium. I just wish Mathnasium is available on Fridays and extended Saturday hours. In just a few weeks, I've seen marked improvement in my son's understanding of his Gr. 10 math concepts. The instructors provided clear explanations and appropriate guidance on more complex questions which enabled him to apply what he's learned on his next math test. His confidence level has also improved which helped him have the right mindset during his test and exams. A great place and amazing staff. Cindy really is in involved and cares about each of the students. I have noticed my son has a more positive attitude towards math. He has also been able to complete his school math homework faster. If my son wants to stay longer for math that's got to be good! Our child has become more confident with math. My daughter has really enjoyed her time at Mathnasium. The staff have been very helpful and encouraging. My son enjoys coming to Mathnasium. It is as if the Instructors know him on a personal level and understands the best way to communicate to him to get a better understanding of solving the problems. He is more confident and enjoys math now. My daughter has really enjoyed her time at mathnasium and looks forward to her weekly lesson. Friendly atmosphere. Good tutors. Nice bright new facility. I like the fact that it's open almost every day. I find it better than any other tutoring places. Most of all, the fact that I don't have to check my kids work that's been given if they did it right or not. You guys care , provide very good assistance and are always there to help with patience. Thanks, [FIRST NAME REMOVED]. My son depends on the great tutors at Mathnasium. Thank you! My son had a very positive experience at Mathnasium which was promoted and pursued by all of the staff he encountered at Mathasium. This experience will be beneficial in my mind in his future because he will not shy away from situations that he encounters with math. In many weeks that he studied at Mathasium he stayed longer than we had requested and he was always positive in his responses regarding Mathnasium. We credit Karim with the management and the overall positive experiences that he has promoted with his staff and creation of the positive experience my son has had. My son was a good Math student and he loves Math. Mathansium took him from fairly strong to really strong at Math. The relaxed teaching style, the focus on the individual student's learning style and being with other students all trying to excel in this area were huge enablers of his success. I like the individualized approach to supporting my children's learning. Our goal is to ensure that they have a high degree of confidence in math, so that they are able to pursue any path they choose down the road. We feel that Mathnasium is providing support to their schoolwork, while also introducing a bit more challenge and fun with math. The staff are friendly and encouraging, which helps promote an environment that is supportive of questioning and learning. I am very excited to share my views of Mathnasium. My son started attending since he was in Grade 8. The Teachers are very knowledgeable, dedicated in whatever area of subjects you are studying. The push you to be the best that you can with lots of supports on a on to one individual. Overall I a happy to report I have found Mathnasium to be the best. 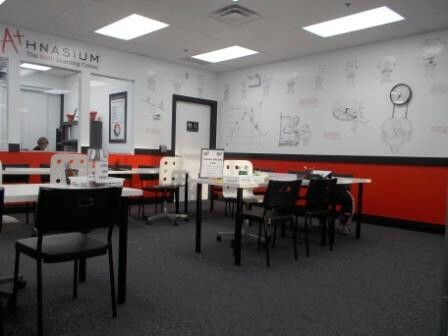 The Owner of the Mathnasium Markham Location is a great Math and Physics teacher. He helped my son a lot. My son attained overall 95% average in Grade 12 and got into Mechantronics Engineering at University of Waterloo in Sep 2015. Mathnasium absolutely played a part in my son's high school success. Jennie Yeung, M.S.Ed. 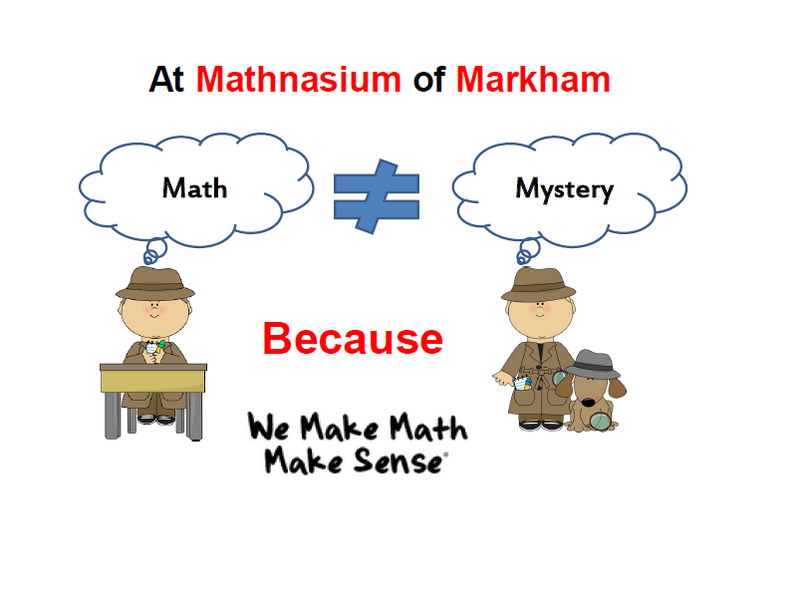 Mathnasium of Markham Celebrates Mathematics and Statistics Awareness Month During April!